That doesn’t make sense, until the reasons surface. The pitches are poor, the majority of batsmen are not taking advantage of persistent half-track rubbish bowling, there are rumbles of senior players ditching the BBL for the more lucrative T20 tournaments overseas, while crowds and television ratings are down. And right in the middle of all those negatives is the lower standard of television commentary. 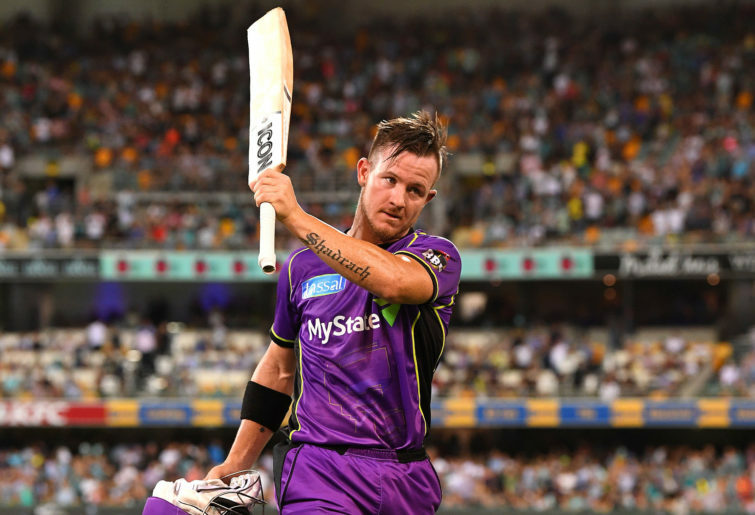 Last season, Channel Ten’s coverage of the Big Bash had Adam Gilchrist, Ricky Ponting and Mark Waugh – legends of the game using their vast cricket nous and experience, their sense of humour and their reminiscing to great effect. They lifted every game they covered. Then came the big upheaval as the Foxtel-Channel Seven combination surfaced. In the split, Gilchrist and Waugh signed with Foxtel, Seven pinched Ponting, and a cast of thousands emerged to fill the vacant commentary spots on two stations. As a result, the overall standard of commentary has been boring, with far too many first-timers thrown in the deep end. And when they couldn’t lift games suffering from poor pitches, bad bowling and fewer crowds, little wonder BBL08 has taken a nosedive in ratings as well. There are always exceptions to every rule and two recent games proved that all is not lost. Take the Hurricanes-Heat clash, which Hobart won by nine wickets and 34 deliveries up their sleeve, or the Sixers-Strikers clash, which the Sydney side won by eight wickets, with 35 balls remaining. The Heat finished on 145 thanks to excellent line-and-length bowling from James Faulkner (2-27), David Moody (2-27) and Jofra Archer’s 2-28. Then, against an attack that was all over the shop, D’Arcy Short clubbed 68* off 41, with eight fours and a six, while Caleb Jewell’s 61* came off 35. At the SCG last night, the Strikers finished on 8-124 thanks to career-best figures of 3-7 off four from left-arm paceman Ben Dwarshuis. The spell included 18 dot balls of line and length that coughed up only three fours in dismissing three of the opposition’s top five. Despite losing 2-24 in the chase, opener Daniel Hughes and skipper Moises Henriques saw the men in magenta home with a 100-run partnership off just 66. Hughes posted 51* off 44 with eight fours, while Henriques cracked 61* off 31 with five fours and four sixes. So the proof is still there that when bowlers stick to line and length, and batsmen belt rubbish on a decent track, the tournament can be alive and well. The stats prove that, with Renegade Kane Richardson the leading wicket-taker on 19, from Hurricane Faulkner on 18. Short is well and truly showing the way with the bat on 541, while opening partner Matt Wade is next on 399. If the Hurricanes and the Sixers can make it to the decider with their positive attitudes, a struggling BBL08 could yet finish on a high.